The phrase “create, rip, mix and burn” – popularized by Apple – summarizes how fans are personalizing and sharing their experience of music. 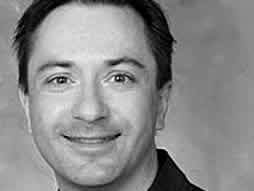 Richard Baraniuk, in a talk entitled “Goodbye, textbooks; hello, open-source learning” at a TED conference in February, 2006, talked about how a similar movement was taking shape in the world of educational publishing. Baraniuk has created a website called Connexions which provides an environment for collaboratively developing, freely sharing, and rapidly publishing scholarly content on the Web. Authors contribute modules – small “chunks” of learning, – and teachers or students can remix these into customized courseware. Courseware chunks can include text, video or even software. He identified the slowness and rigidity of the current publishing process as a barrier which in effect shuts out potential contributors who can make meaningful additions to a knowledge base and provide learning experiences customized to the needs of specific audiences. The key to creating these modules and allowing them to be linked is XML. XML (Extensible Markup Language) is the software infrastructure that allows content to be tagged and then repackaged into personalized learning experiences. Tagging via XML allows content to be be more easily related and linked. It allows us to liberate the pages from the books and form “knowledge ecosystems.” Author / contributors become, in essence, “educaitonal DJ’s.” The potential is great. Consider Catherine Schmidt-Jones, a mom in Illinois, with degrees in music, who creates music curriculum for children using the Connexions process. She has over 600,000 downloads from her site, many by traditional K-12 teachers. The production (“burn” phase) of customized textbooks is done using print on demand (POD) technology which allows textbooks to be profitably printed in small quantities. Such textbooks can be sold on Amazon or via other online book sales channels. One can imagine that as systems like the Book Espresso machine become more widely available, the costs of customized textbooks will fall further. Textbooks created in electronic form or (one day) with e-paper may have the ability to link with other books, or feature interactive simulations to enhance the learning experience. 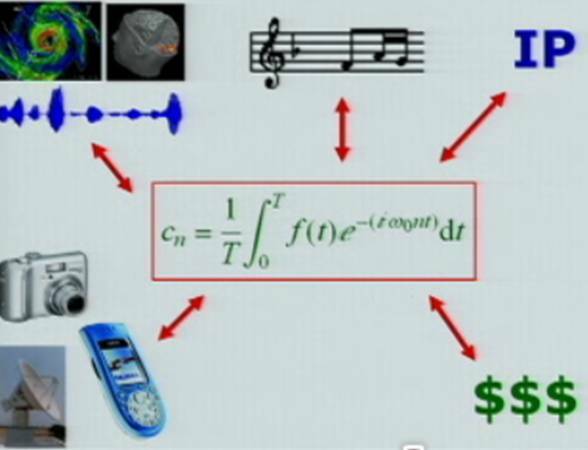 Baraniuk, himself an engineering professor, demonstrated how learning some very dry mathematical equations related to signal processing might be enhanced by showing interactively how it related to music, cell phones and image manipulation. The Creative Commons license has emerged as an IP frameowrk that makes aharing safe. First used for open source software, it makes explicit what can and can’t be done with content. In general, open source educational content licenses require only that its users attribute the author. One measure of the popularity of open source educational content is in the number of licenses issued for text, music and video – 43 million and cocunting. Over 500,000 unique visotrs per month visit Baraniuk’s site and a similar number MIT’s open courseware site. Quality control is of course a paramount issue and is still the subject of much experimentation. In general, it is managed by a peer review process, similar to Wikipedia, facilitated and tracked by software. 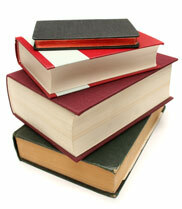 Textbooks sales in 2006 were $9.3 billion. As the technology and legal frameworks for “create, rip, mix and burn” take hold in the educational world, textbook publishers will need to figure out whether and how they will play a role in this new market. As Bowker noted in its report on U.S. book production in 2006, “categories that are the most challenged by the emergence of new online content showed declines in title output for 2006.” RIP indeed. This entry was posted in book marketing, open publishing. Bookmark the permalink.